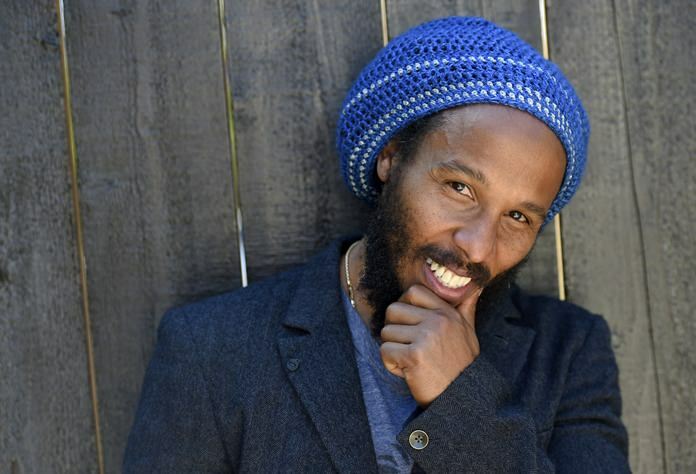 Los Angeles (AP) – Ziggy Marley is trying to push outside his comfort zone. The 47-year-old recording artist recently tried his hand at acting — though he admits he’s not a natural on-screen. And he was more involved than ever in the recording process of his self-titled sixth studio album, released last month. Marley worked as an engineer and mixed the album at his house. The seven-time Grammy winner, Bob Marley’s oldest son, is also getting a bit political this time around — seeding the lyrics of his reggae-pop tunes with references to U.S. politics. Even some of the sunnier songs on the album contain messages that go beyond island fun: Lead single “Weekend’s Long” includes a coded reference to acceptance of homosexuality — significant because of Jamaica’s anti-gay laws. “Your religion can’t dictate who you love or how you love. I’m sure God will understand mon if you love somebody who the text say you shouldn’t love, you know what I say?” Marley said. In a recent interview seated at the picnic table in the backyard of his Los Angeles office, Marley talked about his new album, his priorities for his children and Snapchat’s controversial Bob Marley filter. AP: The album is a bit more political than your previous work. Why? Marley: It’s the whole world — just the division. Even being in America, I see so much division between the people, caused by politics, mostly, and race. It really hurt me. It really touched a nerve to see that people can’t get together and love each other and live together around the world. AP: You made your acting debut earlier this year in “Hawaii Five-O.” Why did you want to do it? Marley: The reason why I wanted to do it was because I didn’t want to do it. And that made me want to do it. It’s like yeah, I’m uncomfortable. All right, do it. …You have to get rid of your ego, which is a good exercise. I love that. AP: You took two of your sons to Hawaii to film the TV show. Do your children join you in the studio when you’re recording? Marley: They visit me sometimes. Yeah, but most times we are all together when I’m writing the songs. They will come and they will sing and make me laugh and give me ideas. …My daughter, she’s very critical. She’s an artist herself. …She likes the pop music, today’s music. AP: Is it a goal to have your children continue the family musical tradition? Marley: No, no. My daughter, she already seems to have chosen her identity. (My younger sons) have not yet. So we will have to see where they want to be. But all I know is, they must have work ethic, discipline and manners. These are the basic foundations that we have to give to them. So whatever them do, whether it be the highest job or the lowest job, them have work ethic and these kind of principles. AP: On April 20 — known as “National Weed Day” — Snapchat put out a “Bob Marley” filter (in partnership with Marley estate) that drew backlash. What was your reaction? Marley: I have no problem with it, per se. Bob fans are very, they’re very adamant about him. They love him so much. You can’t mess with Bob too much. You can’t. You’ve got to be careful (laughs). AP: So you weren’t offended? Marley: Listen mon, we have bigger problems in this world. …That’s a one-day Snapchat thing. AP: Musicians have been boycotting North Carolina on their tours over recent state laws limiting protections to LGBT people. What do you think about that?Marley: We play music for anyone, mon. Music come for freedom, so we have to give them the music, no matter who or what them saying. …We can’t boycott the people. The people is who we are playing the music for, not the state or the government — the people. So we come for the people, not for the policy.